What a treasure for a vintage wedding! This sweeping gold feather crystal hair clip oozes classic Hollywood style. Delicate and ornate, our Extravagance of Gold Hair Clip captures combines Hollywood glamour with the beauty of intricate crystal accessories. 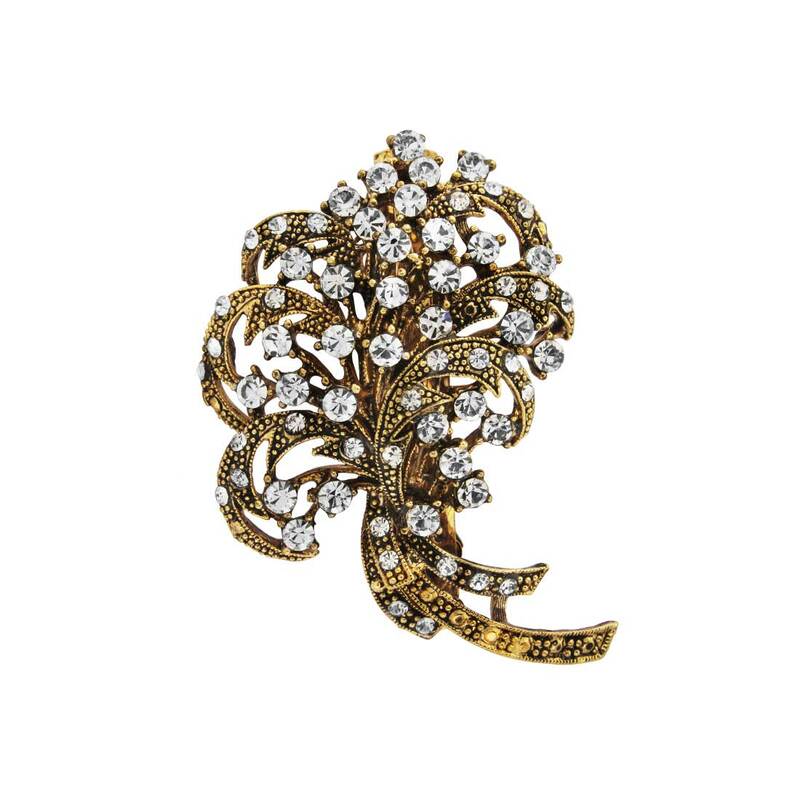 Set on aged antique gold tone this delightful clip, which can be secured in your hair with a barrette clip, features a feather design of sweeping swirls bejewelled with sparkling clear Austrian crystals. Perfect as a finishing touch to complement a jewel encrusted gown or to add a touch of vintage chic to a little black dress, Extravagance of Gold will adorn every hairstyle with timeless elegance. A chic bridal hair clip which can be worn in tumbling curls or a loose chignon, brides will fall in love with the prettiness of this piece. Team it with a statement cuff or gold drop earrings for full on Starlet style.